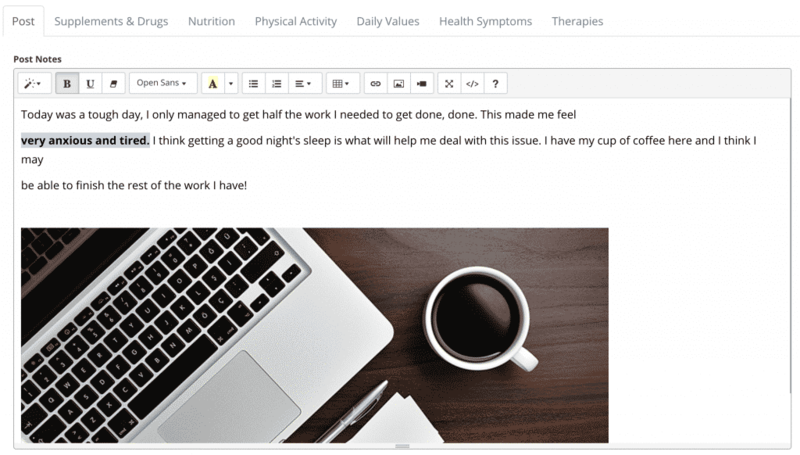 A health diary can be used to track anything related to health quickly. CareClinic is flexible enough to work as a health diary that can be used to track anything that is important to you or your family. CareClinic’s health journal provides a rich interface where a user can share notes or write down anything related to their day-to-day health or chronic conditions in one place and view it at a later time on a calendar or combine the diary with other metrics that can be tracked such as mood, depression, anxiety, stress, physical activity, sleep, medication and more. 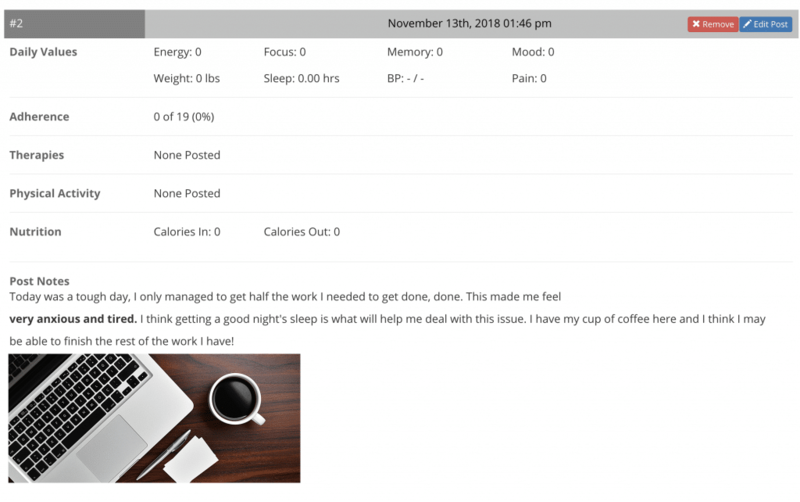 Below we demonstrate how one can start using a simple digital health diary for keeping track of your health and then using a calendar to see the dates you have checked-in to your diary. Once this post is saved, it will be visible in the Logs & Reports section, where you can view it when needed. Along with your post, other metrics related to your health are automatically recorded as well (if they were entered). Remember, what gets measured, gets improved, so it is wise to enter other information along with your diary entry so it can make more sense down the line. 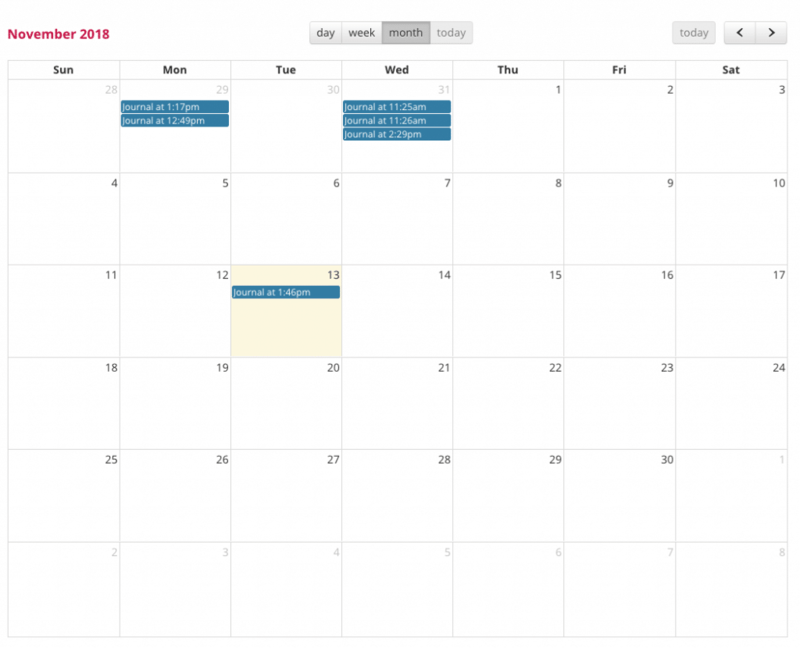 Once this is done, you can also see which days you made an entry in your health diary by going to the calendar section. This helps you measure your adherence or how often you post to your diary. In the example below, there were previous check-ins to the diary so you can see them on the calendar as well. At this point, you can see that this user is not consistent in their entries, but is making attempts to journal as much as 3 times a day. We hope you enjoy using CareClinic as a health diary as it is a powerful tool to track and manage your health. If you haven’t signed up already, you may do so here to begin.